Over the last few years, the music industry has changed somewhat drastically, with the way people buy and listen to music. No longer do you have to go to the store to buy that new CD from your favorite artist. These days, you don’t even have to worry about purchasing individual songs from places like iTunes or Amazon or Google. You also don’t have to rely on YouTube music videos to listen to them. Instead, people are turning to streaming music apps, which give them access to millions of songs for free or for a low monthly subscription. However, with so many different streaming music apps on the market, it can be difficult to know which one is the best. Here are ten of the best streaming music apps currently on the market, available for both iOS and Android devices! 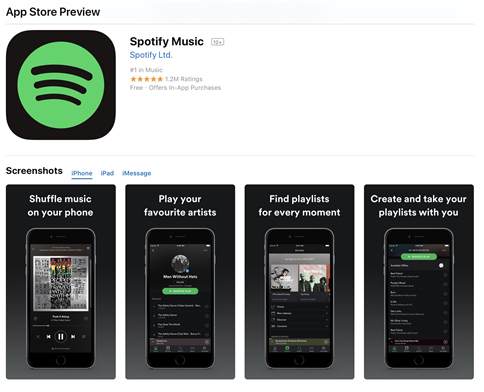 By far, the most well-known music streaming app on the market is Spotify. This Sweedish-based service has been around since 2008 and seriously changed the music game. Users can use the app to access millions of songs, without having to make individual purchases. Instead, you can add a song to their playlist to enjoy whenever they please. With Spotify, users also have the option to create custom radio stations based on their favorite artists and music genres, which will allow you to discover new music quickly and easily. Spotify offers web-based streaming as well as apps for both iOS and Android devices, making it easily accessible to everyone. Beyond that, they also provide free and paid versions to users. For those willing to the $9.99 monthly fee (or $4.99 for college students! ), you will be able to access even more cool features. Some of Spotify’s great premium features include ad-free listening, no skip limits, and offline listening, meaning you will be able to enjoy your music without Wi-Fi or data access. 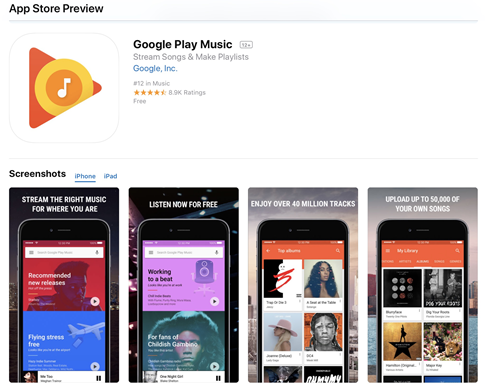 Now, don’t be fooled; yes, Apple Music is an iOS-based app, but due to its popularity, Apple released an Android version of their music app, making it accessible to every user. 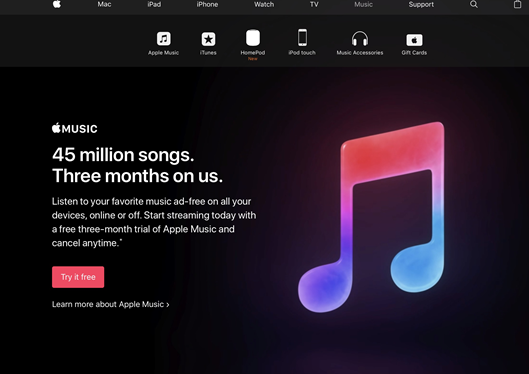 Apple Music is just as popular as Spotify when it comes to streaming music apps, with a massive library of over 45 million songs that users can search and choose what they want to hear. 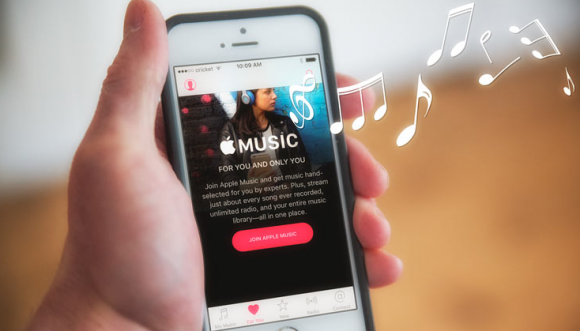 Like with all streaming apps, Apple Music allows users to download individual songs with ease and create playlists to enjoy. They also offer various custom radio stations that will appeal to anyone’s taste in music. On top of that, Apple Music provides a ton of unique premium content, including the chance to hear new music before everyone else and behind-the-scenes looks at your favorite albums. The only catch with Apple Music, however, is that there is no free version. To access Apple Music, you must pay a $9.99 monthly fee ($4.99 for students). But, doing so means you have unlimited access to one of the biggest music libraries around, ad-free and offline streaming, and custom content. SoundCloud has always been a favorite website to stream and download music. Because of that, it makes sense that they decided to take advantage of the growing popularity of mobile streaming music apps themselves with their SoundCloud Go and SoundCloud Go+ services. Both versions give you access to over 120 million songs from both famous artists to up-and-coming ones with just a click. You can also easily save songs and create playlists with all the songs you love. Regardless of which of the paid versions you go for, you also will have access to offline streaming, so you will not need to worry about not having an internet or data connection to enjoy your music. 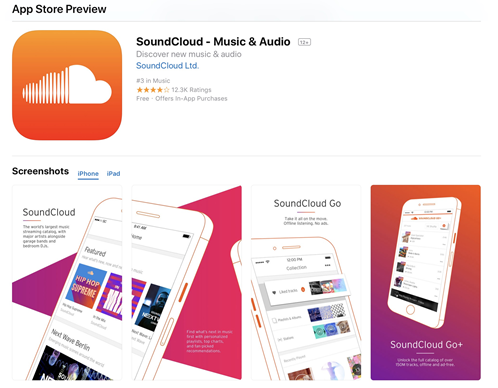 While both SoundCloud Go and SoundCloud Go+ offer mostly the same features, SoundCloud Go+ has one additional one to consider: access to over 30 million premium tracks. That means for just a little more; you will have access to high-quality versions of your favorite songs. Luckily, if you are not ready to shell out a monthly fee just yet, you also have the free SoundCloud streaming option. But, with this most basic option, you will not get the ad-free listening or be able to enjoy your music offline. Three years ago, famed rapper Jay-Z decided to take the plunge into a different side of the music industry: by creating a music streaming app of his very own. The result was TIDAL, a new subscription-based music streaming app with an ever-growing music library creating competition for the likes of Spotify and Apple Music. Just like with every app on this list, TIDAL offers much of the same features: from custom playlists to offline streaming and ad-free listening. 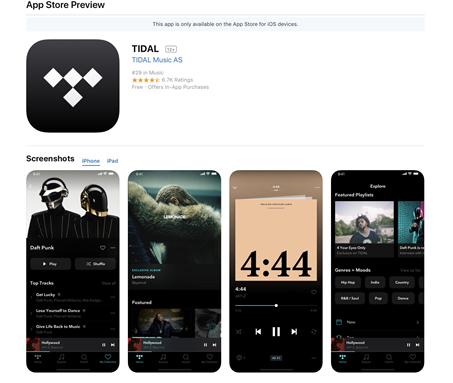 Like Apple Music, the application is only available to those that pay for a subscription: $9.99 for TIDAL Premium and $19.99 for TIDAL HiFi, which also offers high fidelity, lossless audio. 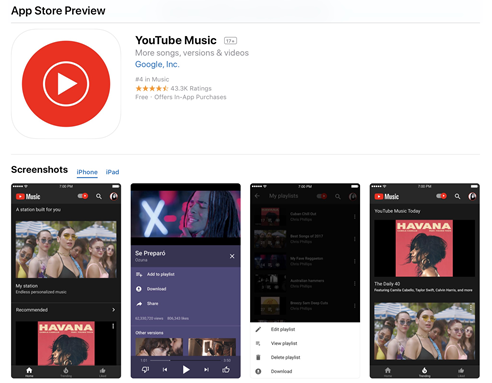 YouTube Red, previously YouTube Music, is another subscription-based music streaming app ($9.99 monthly). With traditional YouTube videos, you must keep the application open; otherwise, the music will cut off. With YouTube Red, however, that is no longer an issue. Instead, you can select your desired playlist and go back to browsing the web, or lock your phone while you go for a run, allowing for uninterrupted and ad-free listening. YouTube Red, much like Apple Music, also offers subscribers exclusive content, including original TV shows created by your favorite YouTube creators. 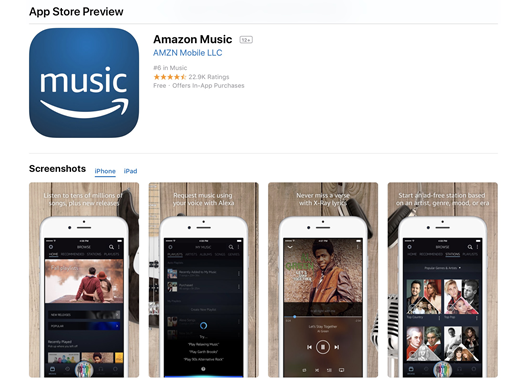 When Amazon decided to join the music streaming game, they released Amazon Music, a Prime-based subscription service. This service works much like the other streaming apps o the list; giving users ad-free, unlimited music access, with the option of offline listening. For additional perks and features and access to even more music, subscribers can select a monthly subscription to Amazon Music Unlimited ($7.99). An Amazon Music Unlimited subscription can even be purchased individually for Amazon Echo devices ($3.99 monthly). The only catch with Amazon Music, however, is that it is only available to those with an Amazon Prime subscription. Although Google Play is associated primarily with Android devices they, like Apple, choose to make their service available to all users. Meaning, even iOS users can select a Google Play Music subscription. Like with Spotify and YouTube Music, users only need an account to gain access to the Google Play Music database. But, to be able to listen ad-free and offline, you need to purchase a monthly subscription ($9.99). By purchasing a subscription, you can also upload your own music, gain access to even more music, and it even includes YouTube Red access. iHeartRadio is a component of the well-known iHeartMedia Company and has been around for nearly a decade. The iHeartRadio app is powered by Napster, who is known for their massive media library. This means that users have access to many popular songs and even radio stations, regardless of where they are. With the app, you can also skip as many songs as you like, save them to a playlist, instantly replay songs you heard on the radio, listen offline and on-demand without any annoying ads. 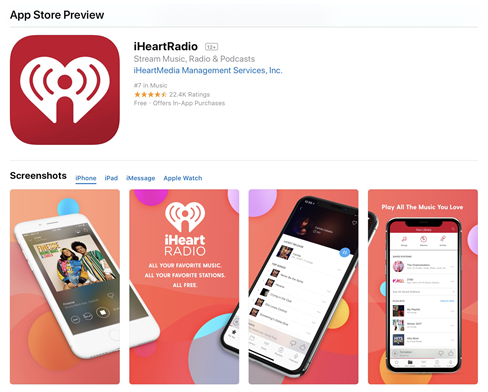 While there is a free version, to get all the features, you will need to get a subscription to either iHeartRadio Plus ($4.99 Android; $5.99 iOS) or iHeartRadio All Access ($9.99 Android; $12.99 iOS). Pandora may be the oldest streaming service on this app, going all the way back to 2000. Pandora offers both free and subscription-based content. 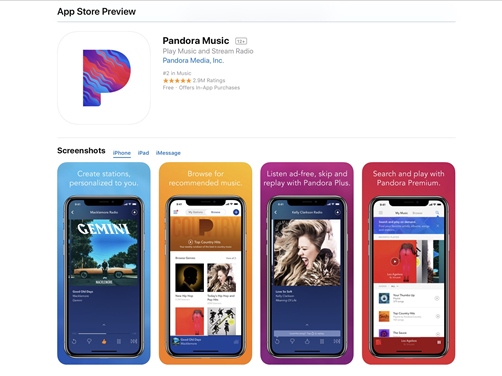 With the free version of Pandora, you cannot listen offline or ad-free and can only create personalized radio stations. Pandora Plus ($4.99) allows you to have four radio stations to listen to offline and ad-free, while also giving you unlimited song skips and replays. Pandora Premium ($9.99), on the other hand, gives you all of that and more: you can search and play songs, create personalized playlists, and download specific songs and playlist for offline enjoyment. Slacker Radio is another radio-based streaming service that has been around for many years. Like Pandora, Slacker Radio allows users to create radio stations based on their favorite artists and genres. 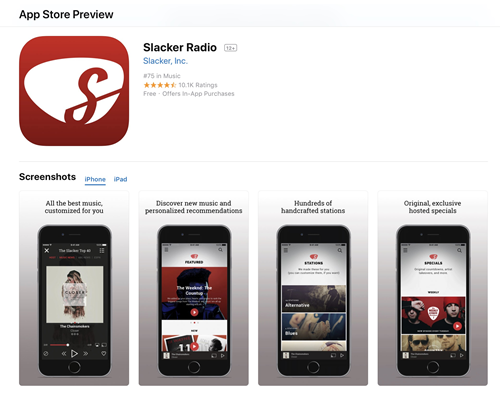 Also like Pandora, they offer two subscription-based plans; Slacker Plus ($3.99) gives users access to high-quality, ad-free audio with the ability to use unlimited song skips. For a few dollars more, users can select Slacker Premium ($9.99) which adds the option of offline listening and playing music on demand. There are so many options for streaming music apps these days; it shouldn’t be difficult to find one. Luckily, all the apps mentioned above are not only top-rated but easily accessible to everyone. Regardless if you are an Android user or iOS user, you can download these apps and find the one you like best. Most of these providers also offer free trials, so you can test them out before you commit to a specific one. That way you know you will be getting a service you love. When you are listening to music using the above streaming music apps, there must be some songs you want to download. After you’ve got those songs downloaded, All2MP3 for Mac can help you convert any music to MP3 for playback on any devices you want.